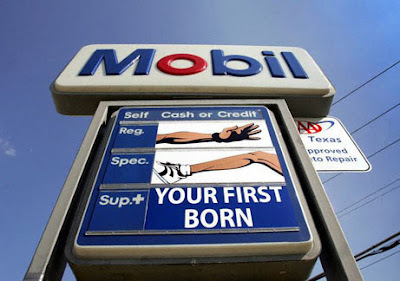 Exxon Mobil Gouging the Public in Pursuit of Profits? America’s oil companies have been taking a beating lately because at a time when gasoline prices are at an all-time high, oil company profits are also high. The favorite target for criticism is Exxon Mobil, which reported record net income of $39.5 billion in 2006. That’s $39,500,000,000, which is also a record increase from 2005 of 15% or $3,370,000,000. People get upset when they see gasoline prices soaring and oil companies are making big profits, and all they see is oil companies gouging the public. and making windfall profits. Now $39.5 billion is a lot of money. But you can’t look only at how much money a company makes, you have to look also at what the company spent during the year and how much gross revenue (income before expenses are subtracted) those expenditures produced, and you have to look at what percentage of total business the profit amount is. When you consider that Exxon Mobil spent $310.2 billion and produced gross revenue of $377.6 billion, all of a sudden that $39.5 billion seems a lot smaller. It is only one-eighth of the company’s total expenditures (12.7percent), and was just 10.5 percent of gross revenue. Put another way, Exxon Mobil spent $8.00 for every $1.00 it made. Put still another way, for every $100 Exxon Mobil spent doing business in 2006, it put $12.70 in the bank. The New York Times, The Washington Post and other newspapers don’t think that’s enough and look for 15-20 percent. Banks generally make 14 percent. McDonalds made 13.8 percent and Coca-Cola made 21.20 percent in a recent quarter. Google made 24.2 percent. Exxon Mobil’s profits are not really out of line when compared with other companies and other industries. Exxon Mobil spent $310.2 billion in 2006 for things like wages and benefits, exploration and drilling, refining crude oil into consumer products, distribution of products, and taxes. Nearly a third of Exxon’s total expenditures, in fact, went to taxes, including $27.9 billion in income taxes, $30.4 billion in sales-based taxes, and $42.4 billion for other taxes such as payroll taxes. Altogether, Exxon Mobil paid $100.7 billion in taxes, more than twice as much as it recorded in net income. Those taxes to the federal government and state and local governments built roads, paid for schools, went for Medicare and Medicaid payments, Workers Compensation and other social programs, police and military forces, and so on. What did Exxon Mobil do for the people who invested their money in the company? If you had bought Exxon stock on the first business day of 2006 at the lowest price paid on that day you would have spent $56.42 for one share. By the end of the year you would have been paid $6.62 in dividends, 17 percent of what you paid for the stock, and the stock would have been worth $76.63. That’s a pretty good return and pretty good growth. And contrary to the conventional wisdom, it isn’t only rich people that own Exxon Mobil stock; it is owned not just by individual investors, but by mutual funds and retirement funds and lots of Americans own mutual fund shares and lots of Americans have retirement plans. The corporation distributed a total of $32.6 billion to shareholders in 2006 through dividends and the purchases of outstanding shares. Does that benefit the economy? You bet it does. Is that good for people who own shares of Exxon Mobil stock or shares of a mutual fund that holds Exxon Mobil stock, or who participate in a retirement plan that own Exxon Mobil? No doubt about it. The reality is that Exxon Mobil isn’t making obscene profits, and it isn’t gouging the public. Just because it produces a product whose cost has risen sharply lately doesn’t mean that Exxon Mobil ought to lose money or even reduce its profitability so the price of gasoline can be kept artificially low. Yes the company made a lot of money last year, but as a percentage of what it spent during the year it and how much revenue the company produced, it wasn’t all that much; many other companies showed higher numbers.